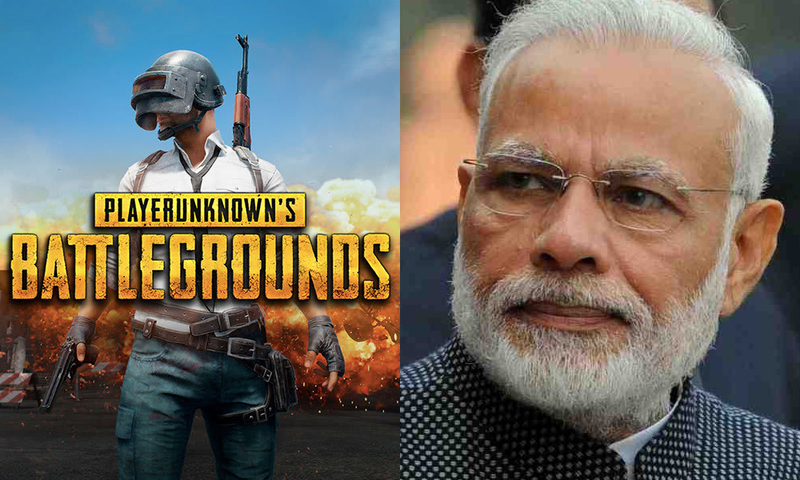 As the craze for PUBG Mobile in India is getting more and more people hooked on to their mobile screens, it seems to have caught the attention of the Prime Minister himself. It was just a regular session of Pariksha pe Charcha 2.0, where the Prime Minister was addressing several students and parents regarding the way they should approach their studies ahead of the exam season, when a concerned parent of a class IX student raised the issue of her son being distracted by studies and instead spending a lot of time on Online Games, to which she sought a solution from the PM. The PM light heartedly replied “PUBG wala hai kya?” to which the entire auditorium laughed as the PM put forth his point of keeping things in balance. “Ye samasya bhi hai, samadhaan bhi hai, hum chahe hamare bachhe technology se door chale jayen, fir toh vo ek prakar se piche jana shuru ho jaenge” (Technology is a solution as well as a problem, we want our children to be away from technology but in a way if we do so, it will be regressive). Modi continued by stressing that parents should encourage the use of technology, and bring up conversations about it on the breakfast table with their kids, so that they feel like their parents are trying to help them. He warned, though, that technology could often make people narrow-minded in their thoughts. PUBG in 2018 has caused a huge spike in Online Gaming, and mobile gaming in particular. India has the 3rd most downloads for PUBG Mobile in the world, and the game itself has over 100 million downloads, taking the 2nd spot for the most downloaded game on ios. Its not that people just play the game, they watch it in huge numbers too. Many YouTube channels like CosmicYT, Kronten Gaming, Dynamo Gaming, Mortal etc have risen out of the blue in 2018 owing to huge views on their live streams. One of them, Dynamo Gaming, gained a staggering 1 million subscribers in just 3 months. The game has become so popular among Indians that it has found itself among mainstream esports, with prize pools reaching an unprecedented Rs 1 crore, with sponsors like Oppo being roped in. No wonder the Prime Minister has taken cognisance as this game is growing day by day.